When K. Ramachandran retired as general manager from a public sector unit in 2013, the typical financial goals that people have such as children’s education and having a corpus for retirement were already met. His two sons—Aravind and Aditya, who are now 37 and 33 years old, respectively—were engineer graduates and into decent jobs and he had got a lump sum from his office after retirement. Ramachandran was ready for a typical retired life—listening to music, reading and spending time in spiritual pursuits. But within a year or so, he realised that to do all that and more, he would need his retirement kitty to work for him more efficiently. “I had invested whatever I had in fixed deposits as they were giving a high rate of 9.5% at the time. But interest rates started coming down in a year or two and so did our interest income,” said Ramachandran. The LIC annuity plans he had taken for regular income were also giving very low returns. It became a matter of concern for him and his wife, 59-year-old Uma Ramachandran, who is a home-maker. “In view of my expenses and returns from FDs, I was almost forced to go to a financial planner to put things in order,” he said. While Ramachandran wasn’t really aware about financial planning and its benefits, his brother helped him take the path to a secure retired life. After exploring a bit, he met Suresh Sadagopan, founder, Ladder7 Financial Advisories. The couple did not want to take financial help from their sons. In fact, they wanted to splurge on them. “It is our wish to save for the wedding of my younger son though he is financially independent,” said Ramachandran. The retirement corpus he got from his office was the only major source of income. Naturally, for Ramachandran, the major goal was investing his retirement corpus in a way that he and his wife could get regular income. Since the couple lives in their own home in Chennai, they just need to worry about their daily expenses. 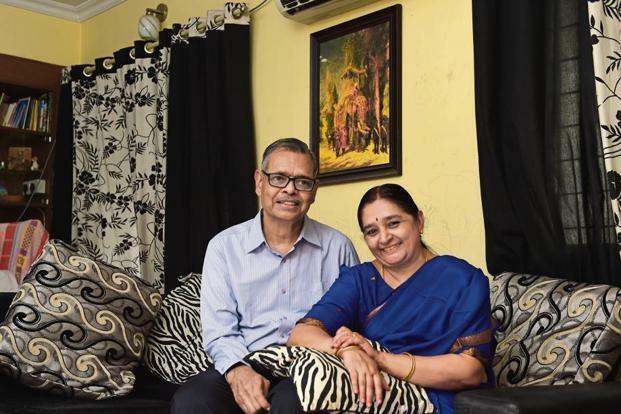 The couple has invested the corpus in a combination of tax-free bonds, Pradhan Mantri Vaya Vandana Yojana and FDs for regular monthly income. A few mutual funds in which they invested earlier, before entering the plan, have also been re-channelled. Apart from generating a regular income, the other major goal for them is their younger son’s wedding. “We are investing in liquid funds for that since it’s a short-term goal,” said Ramachandran. The planner also helped the couple put aside some money for contingencies. The Ramachandrans are at that stage where they do not have any dependants and, therefore, do not need a life cover. “I had a few traditional and money-back policies, but they all matured before my retirement. Though my wife is dependant on me, the retirement finances are combined and she will have access to the funds if something were to happen to me,” said Ramachandran. The PSU he worked for provides a health cover even after retirement. “Health expenses are a major concern in old age but thankfully my company takes care of it,” he said. Going for a financial plan has helped the couple streamline their finances. “It made us aware of our monthly requirements, and short- and long-term goals. We now know that we can measure the performance of our finances and apply course correction before any permanent damage occurs,” said Ramachandran. The biggest satisfaction that the couple has is that they are able to live the way they planned and are confident that they would continue do so.